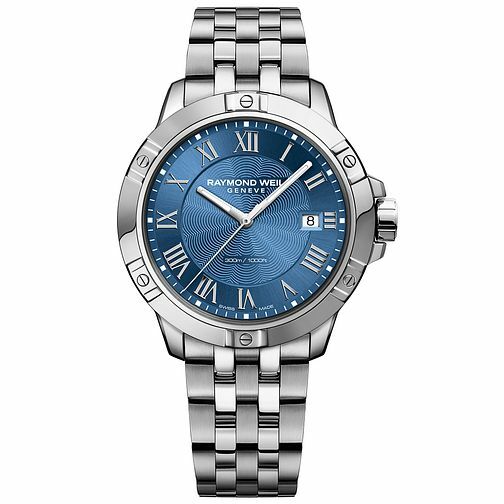 Exuding timeless elegance, this striking men's Tango stainless steel bracelet watch by Raymond Weil is crafted with a vibrant blue dial. Powered by quartz movement, this Swiss made timepiece features a handy date aperture at the 3 o'clock position. The 300 m (1000ft) water resistance makes it perfect for water sports such as board and scuba diving. For Raymond Weil, aestheticism is a preoccupation in the development of their luxury Swiss watches.